A certified nursing assistant (CNA) cares for patients under the direction of a registered nurse or licensed practical nurse. As part of the nursing team, CNAs require less educational preparation than nurses. Nurse aide training programs are short-term and designed to be completed in two to six weeks. The content blends theory and practical instruction to help adults develop the skills needed to provide safe and competent care within the confines of state and federal laws. 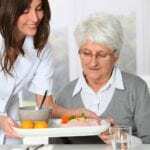 CNAs assist patients with the activities of daily living, such as helping patients eat, filling water jugs, assisting patients with personal grooming, taking them to the bathroom, changing diapers, emptying bedpans, and moving patients from the bed to the wheelchair. They might perform medical tasks, such as taking blood pressures, measuring pulse and temperature, empty catheters, record fluid intake and output, and check blood glucose levels. In some medical settings, CNAs perform tasks that are not directly related to care. These tasks include collecting and running lab specimens, set out instruments for medical procedures, clean and sterilize equipment, clean bedding, replenish stock, and make beds. Apart from healthcare training in the CNA program, students must possess the characteristics needed for success. A CNA’s job is strenuous, requiring standing for long hours, lifting heavy loads, bending, and constant movement. It is important to be in good physical health to meet these demands. A calm and patient personality is also essential to cope with difficult patients and demanding family members. Good observational and communication skills are handy to monitor minute changes in patients’ health and report concerns to nurses or physicians. The nursing assistant program at Minnesota Training Connection Health Care is available in a traditional classroom or hybrid setting. Students enrolled in the hybrid class will complete the theory online and participate in a skills lab on campus followed by a supervised clinical experience. The clinical practicum requires participation of at least 24 hours of supervised patient care in a long-term care facility. The instruction covers concepts of basic human needs, basic nursing skills, and health/illness continuum. Content topics include medical terminology, anatomy and physiology, basic nursing skills, mental health concepts, Alzheimer’s care, hospice care, personal care skills, communication and interpersonal relations, nutrition, feeding, the role and responsibility of the nurse aide, and infection control. The course is approved by the Minnesota Department of Health Registry and meets the state and federal objectives for nurse assistant training. Graduates of the program will be eligible to take the Nurse Assistant Competency Exam to be added to the Minnesota Department of Health Registry. Tuition for the program is $1,065 and includes malpractice insurance fee, lab kit ans scrubs, textbook, and course packets. The Nurse Aide Certificate program at Dakota County Technical College prepares students to assist seniors and dependent persons in hospitals, nursing homes, and in-home settings. The program content includes home health aide training. Areas of study include anatomy and physiology, medical terminology, observation and reporting, fluid intake and output, infection control, vital signs, range of motion exercises, law and ethics, personal hygiene, communication, safety and emergency procedures, and basic nursing skills. Graduates are eligible to take the Minnesota State Certification exam to be added to the Health Registry. The program is available on a daytime or evening schedule. Students earn 5 credits upon completion of the program. The total cost of the program is $1,085 and includes tuition, fees, book, lab kit, and scrubs. The program is not eligible for financial aid. 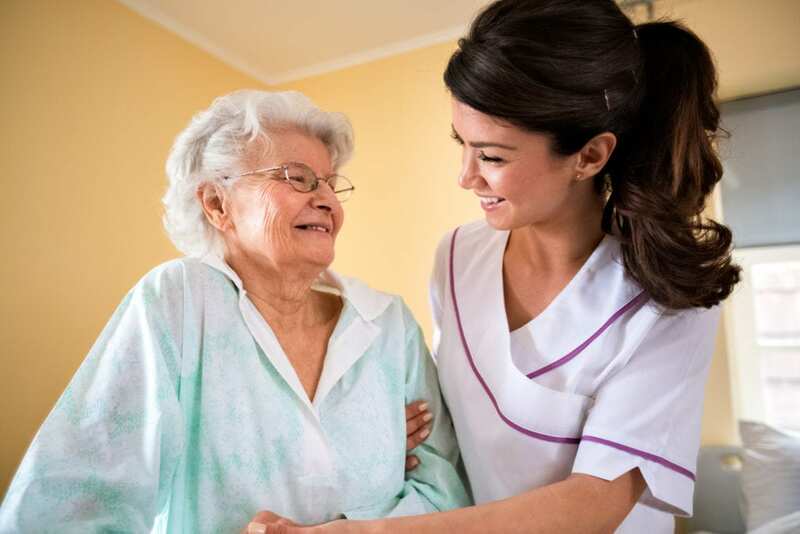 The Nursing Assistant Certificate Program at Century College prepares adults for employment in direct care where they will care for patients in acute and long-term care facilities under the supervision of registered nurse. Graduates will be eligible to take the state exam for placement on the Minnesota Department of Health Nursing Assistant Registry. The program includes content for Home Health Aide. There are two options for registration. Students can register for the college credit option or not for college credit. The non-credit course is available through Continuing Education and Customized Training – no registration as a college student is required to enroll in this option. The instruction and curriculum are the same for both options. Students must attend all classes and obtain background clearance. Students who choose the for-credit option may do so to obtain financial aid. A high school diploma or GED is required for enrolling in the credit option. The curriculum delivers 76 hours of classroom and clinical instruction. Students meet for 13 sessions. The program is delivered partially online – theoretical content is delivered online. Lab sessions and clinical experiences are mandatory, and students must attend in person. Obtain criminal background clearance before the clinical experience. Tuition for the non-credit program is $895.